We warned last February that the cornerstone of the EU — the freedom of movement to create the United States of Europe — would collapse. 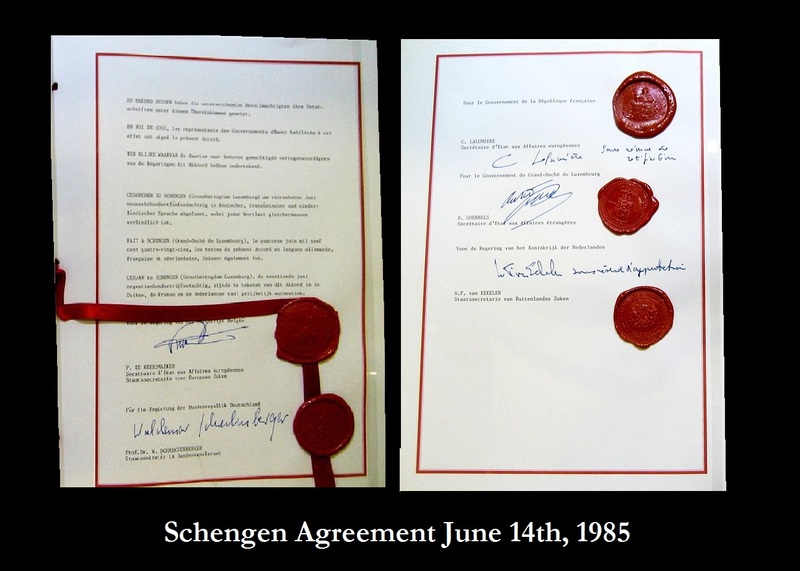 This effort to create a borderless Europe became known as the Schengen Agreement and was signed on June 14, 1985 (1985.452) between five of the then ten member states of the EU. We warned that the Schengen Agreement would begin to come under attack with 2015.75 and the risk of it becoming overthrown would come 2016.867 or November 12, 2016. What is amazing is that this target was generated before the Refugee Crisis. It is extremely fascinating to observe how events unfold in line with the cyclical targets. This target was pi – 31.415 years from the signing. The 2015.75 target was the peak in government. Now, documents have been leaked that state that the free travel right of the Schengen zone could be suspended for two years under emergency plans to deal with the migrant crisis. This is right on target. The interesting aspect is the implications for Europe in the future as the model warns that a two year suspension is more likely than not to be its extinction.